Charity Adventure – One less thing on the bucket list. It’s midnight, it’s below zero degrees, and I’m about to trek for several hours towards the summit of Mt Kilimanjaro, the highest free-standing mountain in the world for a charity adventure. Why? Why not! 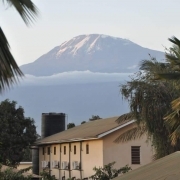 I’m on my way to the “Roof of Africa” for this Mt Kilimanjaro charity adventure. For a week I have slept on the ground, once with a rock digging straight into my back. 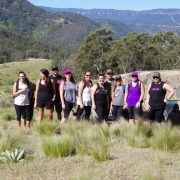 I’ve been trekking with six other teammates, one of which is my close friend who asked me to join her for this charity adventure in support of Make-A-Wish Australia. I’m looking good – I haven’t brushed my hair for a week, my face is burnt, I have dirt under my fingernails that I’m pretty sure will have to be removed at the doctors and deodorant is no longer hiding the smell. Before I went to bed I put on four pairs of pants, four shirts, three jackets, a beanie, a buff, two pairs of gloves and three pairs of socks. Am I comfortable? Not even close. Physically the altitude has sucked all my energy and as we make our way up the mountain I feel like I have nothing to give. Mentally I’m battling; all I can allow myself to think is left foot, pause, right foot, pause, left foot, pause, right foot, pause. The slowest I have ever moved yet we are moving way to fast. We have exceptional guides. They know when to stop and check on us, when it’s time to drink, when it’s time to eat and they know when it’s ok to push that little bit harder. They even realise when the team needs a boost, my story will always include the moment a song and dance was busted out on the side of a mountain in Africa. As we gradually make our way up the steep terrain, (something that wasn’t in the brochure I definitely signed up for a more gradual rise), my head is pounding and waves of nausea hit me. This is the summit of Mt Kilimanjaro and I would want it any other way! I’m one of the lucky ones, I made it to the top with feeling in my fingers and toes, although coming down is a totally different story and there may have been tears. When people use the cliché “a trip of a lifetime” their absolutely right, and I was able to experience the trip with the ‘A team’. Our motto “Failure is not an option” guided us through some tough times but thankfully it didn’t really need to be said too often. Shane Pophfer and Darren Wise from Peak Potential Adventures gave us an all hands on deck approach before the trip and were just a phone call away when we needed advice. 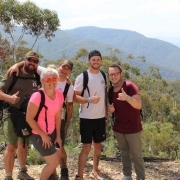 The guys at Peak Potential Adventures really know how to organise an adventure, all bases were covered and it was evident on the mountain when comparing ourselves to other teams. I’m proud to say I reached the “Roof of Africa” and Peak Potential Adventures helped me get there to compete this charity adventure and tick another awesome experience off my bucket list.